As a fitness fanatic, I’ve been going to Gail’s classes for years. I started aerobics at Booth Street Recreational Centre in the 90s, and have followed her ever since! I was diagnosed with bowel cancer in July 2017 and have recently completed a course of radiotherapy and chemotherapy. I was determined that the outcome was going to be positive. 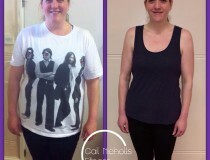 So, during the treatment I continued to exercise and participate in classes, from running, to HIIT, to Boxerbeat and Bootcamp, and followed a healthy eating regime. Along with this, I found that a positive mental attitude was key to enduring the treatment programme. 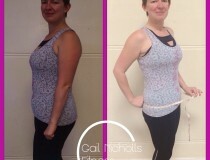 Gail’s advice and support during the past few months has helped me to continue to exercise and remain positive.This has given me a focus and a goal to maintain current fitness but try and achieve better fitness and given me some control over my health and wellbeing. Equally importantly for me, it’s been a social support with positive people whose focus is getting and staying fit and an escapism from being consumed by a cancer diagnosis.